The Rhode Island Chefs Harvest BBQ is a celebration of the most special time of year in New England, the autumn harvest. 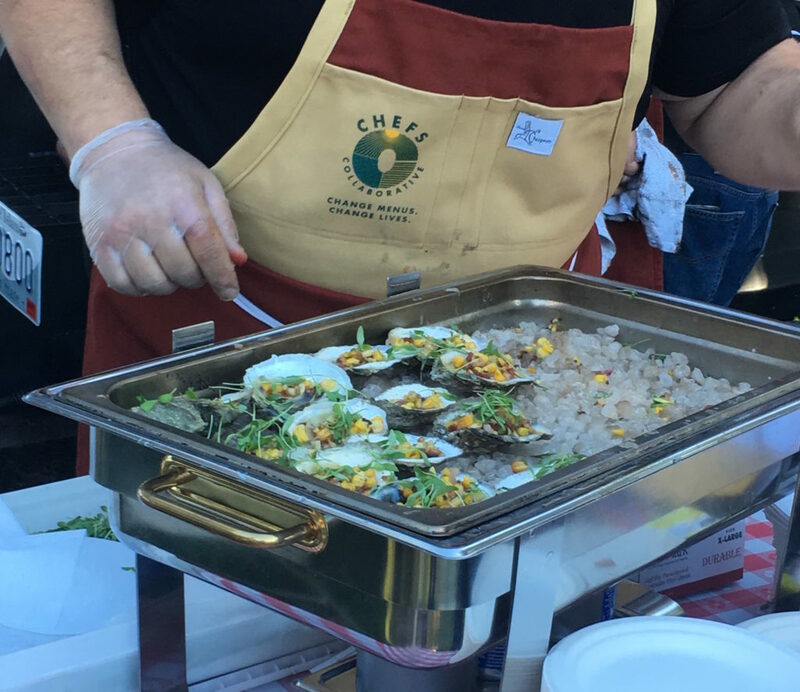 With incredible food, drink and an inspired sense of community, it has become one of the best events of the year and was voted Editor’s Choice for Best Chef’s Celebration by RI Monthly! Held in the most beautiful, symbolic and idyllic of settings, the Pond on Schartner Family Farm, October 1, 2017 was the 8th Annual RI Chefs Harvest BBQ. Guests joined Rhode Island’s best and brightest chefs as they partnered with local farmers, fishermen, brewers, vinters, musicians and artisans, to break bread, hoist a glass, celebrate our special food community, and raise money for a very important cause.